Heather found her way through three programs and a host of mentorships before feeling knowledgable and ready to teach Pilates in a way that restores function, movement and sound body mechanics. Identifying that her staff had these same gaps in knowledge after completing programs, the Pure Body Teacher Training program was created. As a teacher Heather focuses on getting the most out of the exercises while working to restore function in her students. As a teacher trainer, Heather is dedicated to delivering the entire Pilates methodology in a way that encourages teachers to be confident, capable and able to think critically in the most complex situations. When designing Pure Body Teacher Training Heather wanted three things; to offer a comprehensive education and experience that isn’t missing anything, for our students to be ready to teach when they finish their program, and for a safe space, community, and a place where questions and curiousity are encouraged and complete understanding is the ultimate goal. Jaime White is a third-generation Classical Pilates instructor with over 13 years of teaching experience. Her clients have ranged from NFL athletes, triathletes, post-rehab, and Pilates apprentices and teachers. She has been certifying instructors or teaching continuing education for almost a decade in the United States. She owned and operated a thriving pilates and functional training studio for over 8 years before selling it to staff that have kept the vision alive and well. She was originally certified in 2003 through Authentic Pilates and was a teacher trainer through USPA for several years before leaving to go back to NYC to immerse herself and work with Brooke Siler and many other great instructors. During her time in NYC she was a go to for inspiration and education from other teachers of diverse backgrounds. She held weekly workouts for teachers and gave guidance on working with special populations and athletes. Jaime encourages students to embrace learning the science we now know exists in movement along with staying in the work of Pilates. In early 2016, she completed her advanced teacher training with Kathi Ross Nash. Jaime is very excited to join forces with Heather Erdmann at Pure Body because of their shared vision and values as Pilates instructors, studio owners and how we feel teachers should be educated. We want to create highly employable, passionate, ethical and effective teachers to carry on the work and philosophy of Joseph Pilates combined with modern science. After receiving her Masters in Fine Art from the Royal College in London and a few years at a "desk" job she realized happiness wasn't in front of the computer screen. She decided to attended the Kane School for Core Integration (Kinected) to become a fully certified teacher graduated in 2009. After several years teaching she was accepted into the Kathy Grant Heritage Training Masers Program led by Cara Reeser of Pilates Aligned in Denver and graduated in 2014. Anula is passionate about upholding the traditions and principles of Pilates while being able to update and personalize them for the needs of her students. She also feels strongly about volunteering her time to the LGBTQ community and believes Pilates is a wonderful movement modality and a tool for healing in a supportive environment. Tara-Lyn is a Classical Pilates Instructor certified by the New York Pilates Studio® Teacher Certification Program under the tutelage of Romana Kryzanowska and Sean Gallagher in 2002. She has had the privilege of studying with Kathi Ross Nash, Sari Mejia Santo, Michael Fritze, Ton Voogt, Brooke Siler, Anthony Rabara and many others. She is the owner of Tara Lyn Pilates LLC and is passionate about spreading this amazing work and inspiring and empowering clients, friends and colleagues. Her home studio is in Northern NJ but you can find her traveling to host studios teaching workshops and sessions, and now certifying new teachers through Pure Body Teacher Training. Tara-Lyn’s passion is teaching Pilates with a purpose. That purpose always depends on the clients needs and what journey they are on. The common purpose is to help clients find the power they have inside themselves through movement, purposeful thought and intention. She teaches one on one sessions, small group classes and workshops. Tara-Lyn has worked with athletes, teens and kids, expectant and new moms, and many other special populations. She is a Certified Exercise Specialist for Neurological Disorders, Prehab and Post PT rehab, and breast cancer recovery. In 2013-2014 Tara-Lyn completed Kathi Ross Nash’s Advanced Teacher Training Program. Tara-Lyn works with the body that is in front of her and makes the client move while keeping it fun! She is very excited to join the Pure Body Teacher Training Team to help preserve Joseph Pilates’ legacy by mentoring teachers that will uphold the high standards of the Pilates Method. As Directory of Community Growth for the Pure Body brand Alicia works closely with our host studios, faculty and students. Kristin received her BA in Kinesiology from the University of Colorado and a Masters in Exercise Physiology from Eastern Michigan University. She knew working with the human body and improving peoples’ lives was the direction she was headed but it wasn’t until she discovered Pilates that she found the passion for teaching. She was first introduced to Pilates in 1998 and immediately saw and felt the transformation in her own body. After a year of her own practice, she decided to pursue and completed a Pilates certification in 2003. In 2011, Kristin became a classically trained Pilates instructor with the United States Pilates Association under the close supervision of Jaime White. She is passionate and focused on training the body that is in front of her and guiding her clients to find the strength within themselves to improve their lives. She has worked with professional runners, dancers, post-rehab patients, pre/post natal and individuals of all ages. Being a part of the Pure Body Teacher Training faculty is the natural next step in Kristin’s Pilates journey. She truly believes that Pilates makes people a better version of themselves and can’t wait to share her knowledge and experience with others. 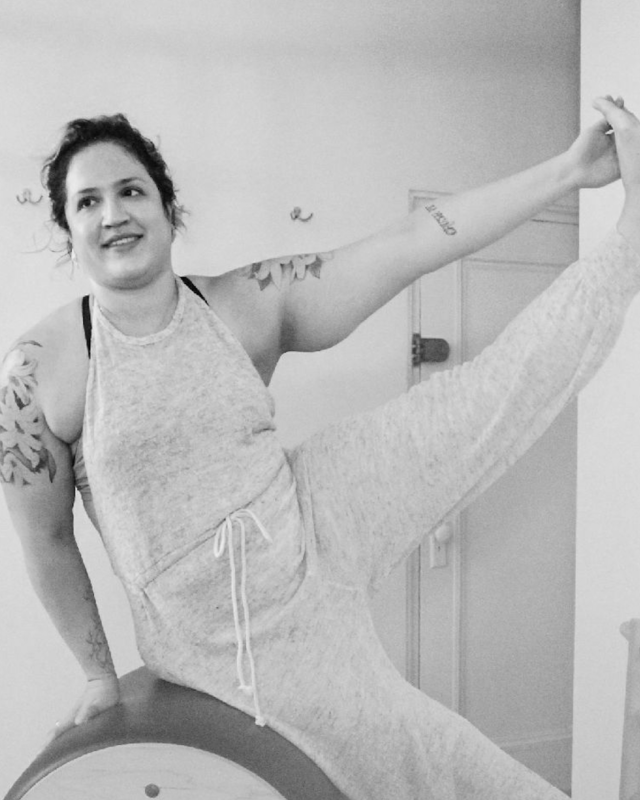 Yael enjoys using Pilates to help others find connection through movement. She truly feels Pilates is about teaching each individual body. Her passion is helping her clients achieve their goals, whether it's healing an injury or taking their practice to a new level. Yael loves taking classes at other studios and is constantly inspired by the Pilates community in Denver. Committed to giving back to the community, Yael works with the Pilates 4 Youth program and offers classes and private sessions for kids. Her studio, TerraFly, offers a free community class once a month and also participates in Denver Fitness Week each year - bringing Pilates to those who may have never tried it. Yael continues to find inspiration from dance, yoga, and any activity that allows her to move and be creative. Yael is a new mom and cherishes time with her son as well as biking, running and climbing with her husband and dog. She is beyond excited to be a part of Pure Body Teacher Training. This is a dream come true for her. Karine is a third generation classical Pilates instructor. She fell in love with not only the physical aspect of the movement but with whole mind and body connection. Karine was an equity trader for many years but knew she wanted something more. She knew from her first Pilates class this method was life changing. She became certified right after through the USPA in 2010. Guiding people to move properly through Pilates and making them feel their best is her passion. The continual movement along with the oppositional work within the body and mind changes the body. This is the most fascinating thing of my “work”. Every exercise, movement and placement of the body has a reason! She teaches at her home studio in Boca Raton, FL. Outside of the Pilates studio she loves to spend her time with family, cooking and traveling.